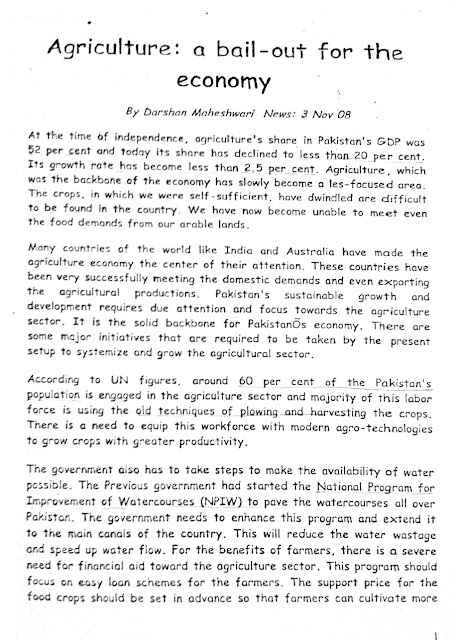 If you are preparing for the Intermediate or Bachelor level exams or for any test exam like NTS, CSS or PCS then this Pakistan's Agriculture - A Bail-out for the Economy English Essay can help you know more about the Pakistan and its written by Darshan Maheshwari. 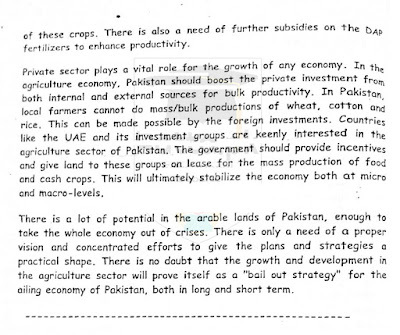 So read out this great English essay on Pakistan's Agriculture - A Bail-out for the Economy and download for later read (courtesy of Taleem Wala). 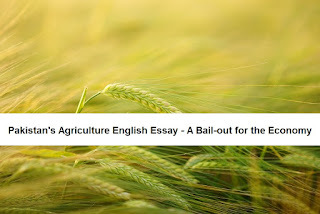 If you want us to share more essays with you then share this page with your fellow students and keep in touch with us.